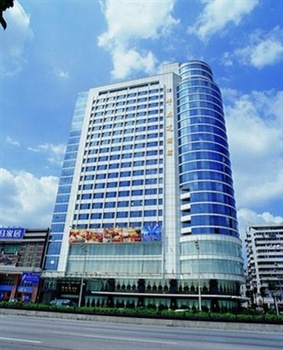 The Huaweida Hotel (Huaweida Shangwu Dajiudian) is located in downtown Guangzhou, offering easy access to Tianhe's business center and the Guangzhou Race Course. The hotel is also just a ten-minute drive from the Pazhou Complex and East Guangzhou Railway Station, and 40 minutes from Guangzhou New Baiyun Airport. The hotel's 22-story building houses a range of rooms, a large Chinese restaurant seating up to 800, 27 deluxe private dining rooms and a well-appointed multifunctional hall. Guests will never have a problem making their Hong Kong trip from the hotel as the hotel offers car chartering service between Hong Kong and Guangzhou. Guests with time for leisure have plenty of options to choose from as the hotel also plays host to a deluxe nightclub, sauna and foot spa centers, a games room, a tea house, as well as basketball and tennis courts.